Inevitably, as springtime stirs and I reach deep into the pantry, clearing the last of the winter stockpile, I come across a poor abandoned panettone that survived Christmas, having never been unveiled as part of a December feast or found the arms of a friend as a holiday gift. Panettone, a festive cake studded with raisins and candied fruit, is basically shorthand for Christmas, gracing every Italian table during the holiday season. Many legends celebrate its origin – a nobleman in disguise who invented the cake to save the village baker from ruin and woo his daughter; a scullery boy named Toni who whipped up the original using ingredients he scrounged together when the court chef burned dessert (hence “pane di Toni” or “Tony’s bread”); a nun who baked the cake in the shape of a cupola for her fellow Sisters – all with the common denominator of yuletide symbolism. But panettone’s other trademark is an impressive shelf life – about 6 months, thanks primarily to the long process of fermentation in which the yeast is given the chance to rise twice. Part of me cringes at the thought of panettone well into March, like Christmas decorations that hang on too long after all the snow has melted and crocuses pierce through the ground, but I’m not one to cast aside perfectly good cake. 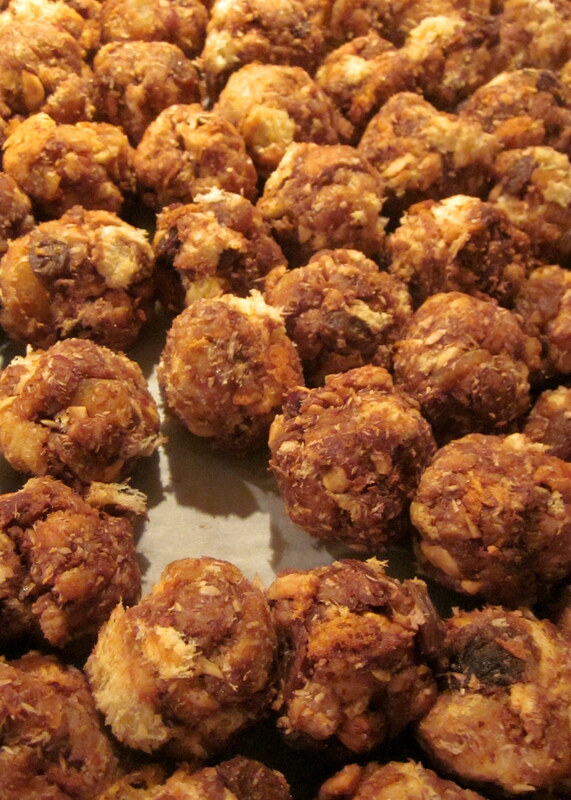 And, lo, panettone truffles were born. Soaked in rum, mixed with toasted hazelnuts, and coated in dark chocolate, they are barely recognizable as that Christmas fruitcake with a sometimes stodgy reputation. 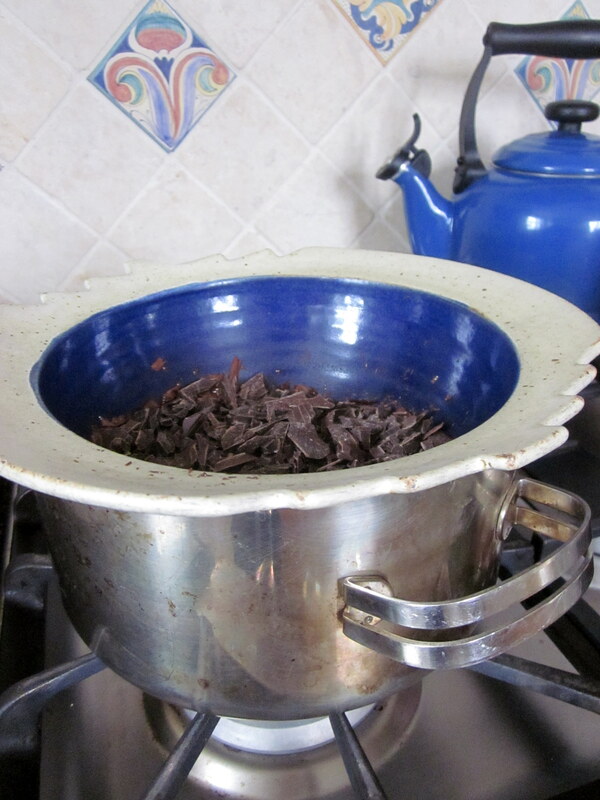 A note on the recipe: To melt the chocolate for the truffle coating, it is helpful to use a double broiler, or a bain-marie, which is a stovetop setup that allows you to heat ingredients gradually, without burning. I get by with an improvised system that I rig up with whatever I come across in the kitchen. Find a heatproof bowl that sits comfortably on a small or medium pot, making sure that the bottom of the bowl is at least several inches above the bottom of the pot. Add a small amount of water to the base – roughly an inch, never too much that the bowl comes into contact with the water. Bring the water to a boil, then reduce to a simmer before you heat any ingredients in the top bowl. It’s well worth the small extra effort to melt the chocolate this way; you’ll achieve a more pleasant taste and smoother texture than you would by microwaving the chocolate or heating it directly in a pan. 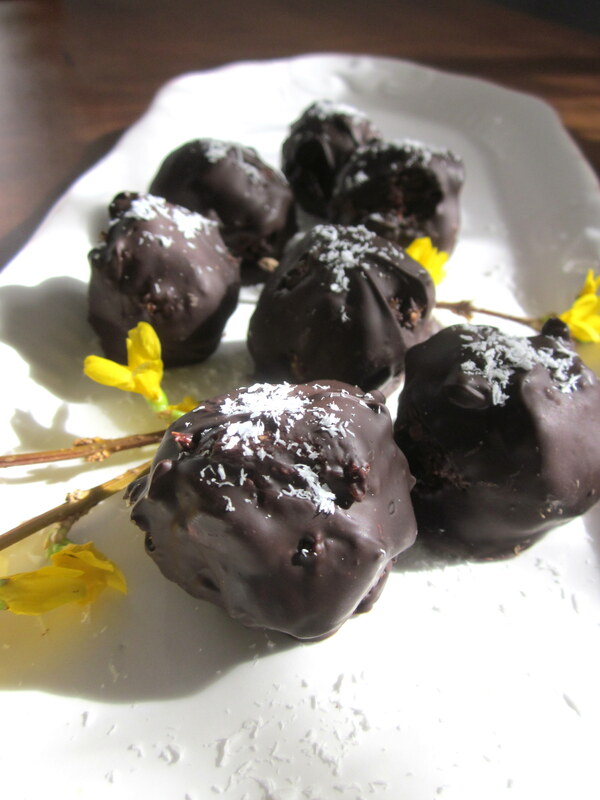 Makes about 40 truffles – they freeze well. 1. 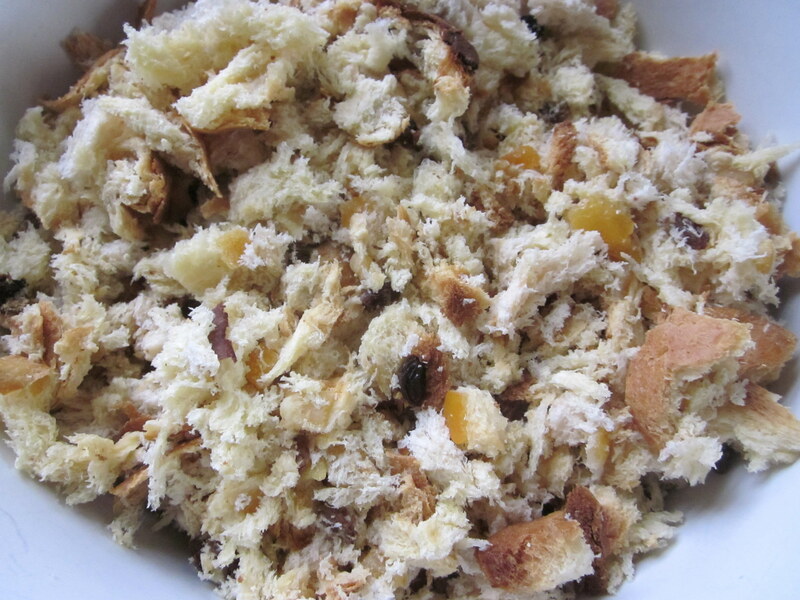 Shred the panettone into small pieces and place in a large mixing bowl. 2. 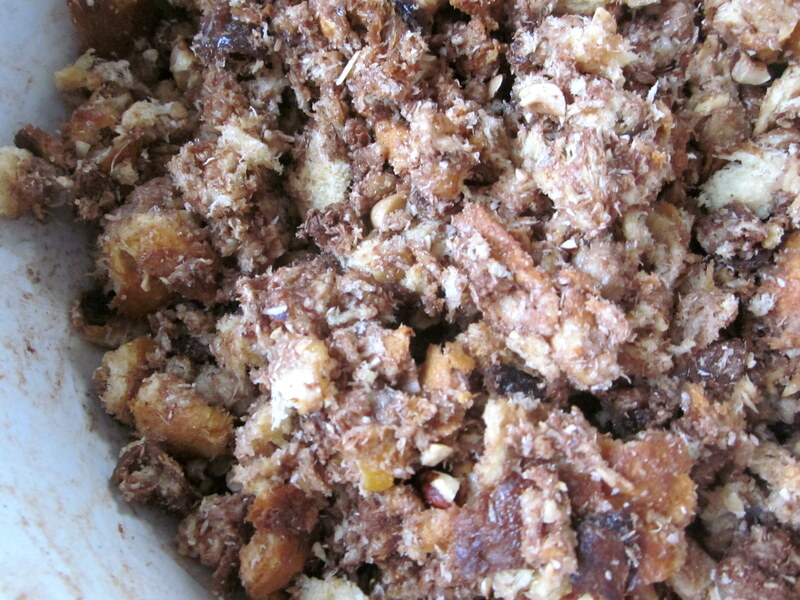 Add the milk, rum, sugar, grated coconut, cacao powder, and hazelnuts. 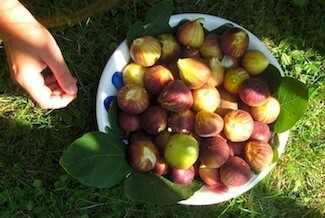 Stir well; you should notice the mixture begin to stick together, forming a cohesive mass. Cover and chill in the refrigerator for about 2 hours. 3. Take the panettone mix out of the fridge. Working with a generous spoonful of mix at a time, roll the batter into small balls with the palms of your hands, and place on a baking sheet lined with parchment paper. Cover the baking sheet and stick in the freezer for another hour. 4. When the truffles near the end of their time in the freezer, begin melting the dark chocolate with a double broiler. Once the water boils, turn down the heat and add the chocolate pieces. Use a spatula to stir the chocolate, ensuring it melts evenly. If you find the chocolate is too thick, add a little bit of vegetable oil or butter, but not water, which will instead make it clumpy. 5. As soon as the chocolate attains a smooth, viscous consistency, turn off the heat. Drop the truffles in the bowl one by one, tossing them around so they become fully coated with chocolate, and return them to the same cookie sheet. 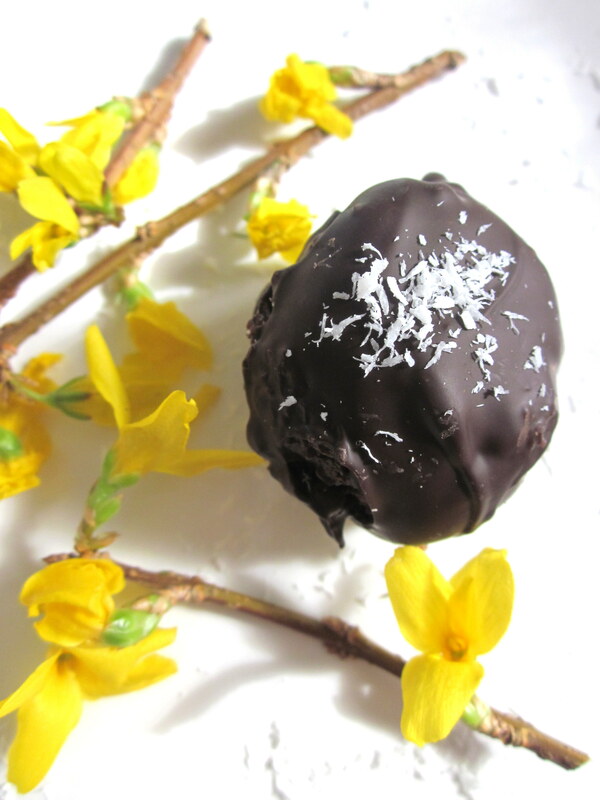 Here, your greatest challenge is to avoid getting fingerprints all over the truffles to guarantee a smooth chocolate exterior (using the tip of a fork or even plastic gloves to transfer them helps), though you can also go for a more rustic effect. 6. 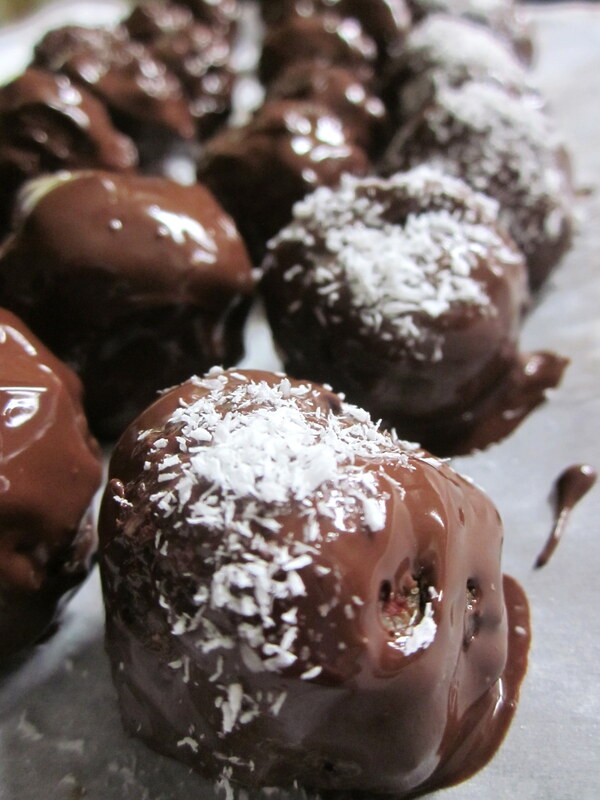 In a final flourish celebrating your achievement as a new master chocolatier, sprinkle grated coconut on the truffles. 7. Loosely cover the baking sheet and place it in the freezer for about 30 minutes to allow the chocolate to harden, or let sit in a cool spot for a few hours.